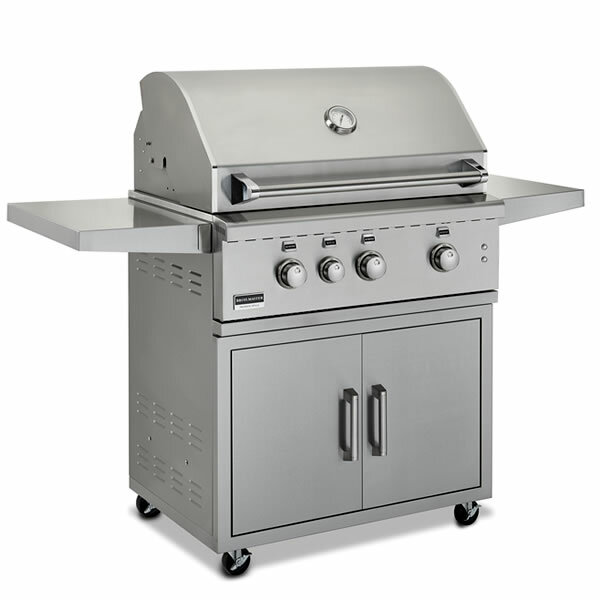 The 34" Broilmaster stainless steel portable cart grill is the most popular size. Broilmaster has taken key features from other top performing grill brands and rolled them all into one perfect outdoor grill. 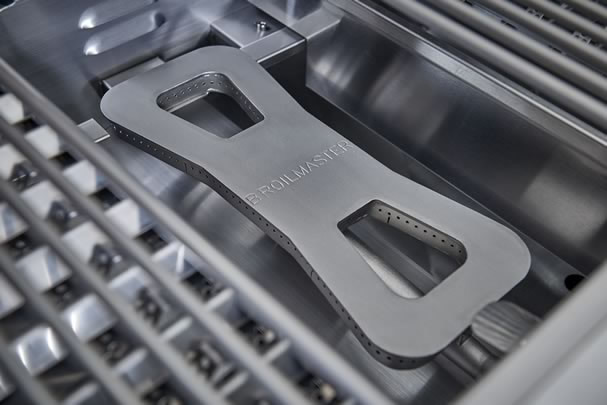 Starting with the most important part of any grill Broilmaster Stainless uses 3 commercial grade 304 cast stainless steel bow tie style burners. Then the second most important, heavy duty stainless steel rod cooking grids for maximize durability. Then comes the most dependable push-and-turn flame thrower ignition system that delivers a fast start every time. The illumination system compliments its unmistakable style giving an appearance to catch every admiring eye. The flare control vaporizers have had years of design technology placed into them. The stainless steel pyramid style flavor bars and specially designed evaporation plates. This flame tamer pump's even heat onto the food at the same time as vaporizing overflow juices that create added flavor in the food. The Bow-tie burner technology is unique to Broilmaster and has been used for many years. This new burner has "Zone Porting" where the use of different size holes allows for even heating for the front and back across the entire zone.